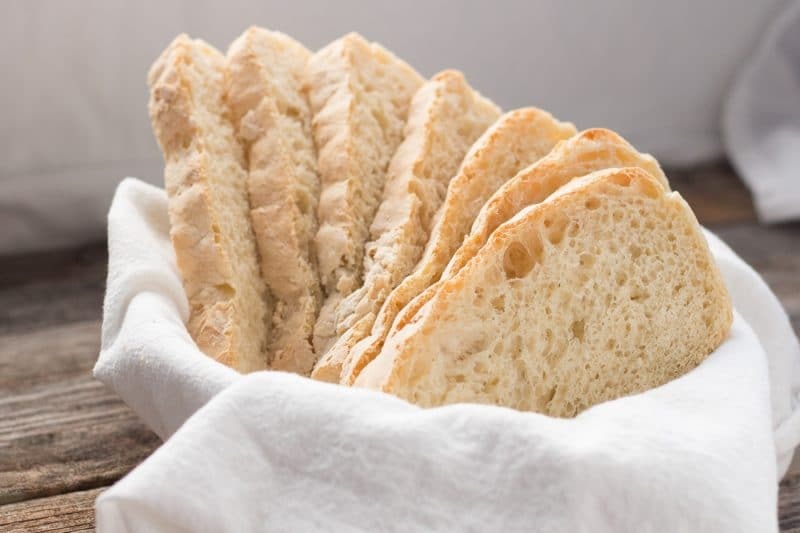 Our Artisan Bread Recipe produces a nice Rustic Crusty Bread. 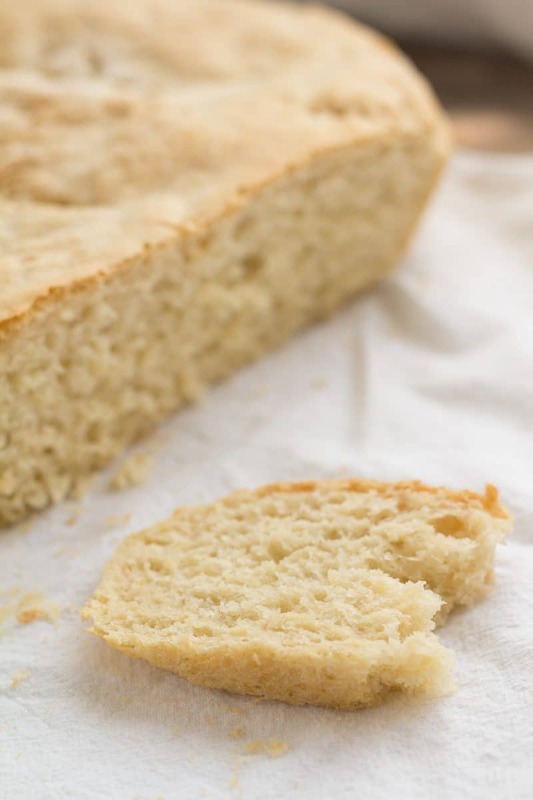 A simple no-knead bread that is easy to make with no specialty equipment needed. Great as toast or warm and buttered. 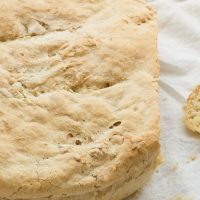 This recipe for Artisan Rustic Crusty Bread is my go-to bread recipe whenever I have a hankering for warm bread. I love bread! I’ll eat it from anywhere, even a factory. I’m not embarrassed either. Sometimes all you need in life is a peanut butter and jelly or bologna sandwich using super soft white bread. The kind that sticks to your teeth with no nutritional value whatsoever. But, homemade bread, warm from the oven, slathered in butter takes the cake in my book. Artisan bread is my all-time favorite recipe, but it has gotten too pricey in the stores to buy any more. I suppose the price factor is because there are fewer preservatives, so shelf life has been drastically reduced. 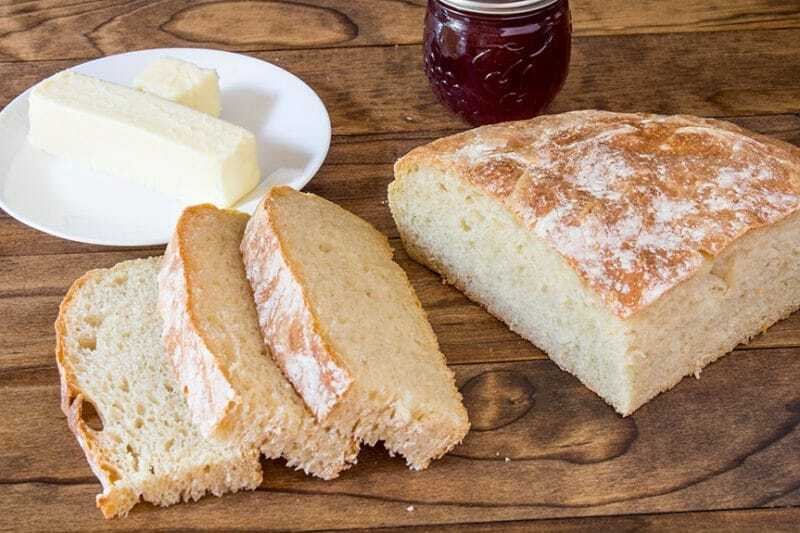 Rustic Crusty Bread is an artisan bread that is easily made at home. It requires no kneading, no fancy mixers, and is pretty darn hard to screw up. This artisan bread is also really good when toasted. I find that I usually need to run through my toaster cycle twice though. Do yourself a favor and flip the bread around so that the opposite side of the bread is facing the same elements. Trust me, I have yet to totally fail with this method. I forgot to add salt once, the bread was edible, just really bland. I may have struggled to get it shaped and dropped into my pan when I first started making this. Don’t worry if you struggle too, even if it’s ugly, it’s delicious. You will get better with it the more you practice and eventually it will be no big deal to whip up a quick loaf of bread. 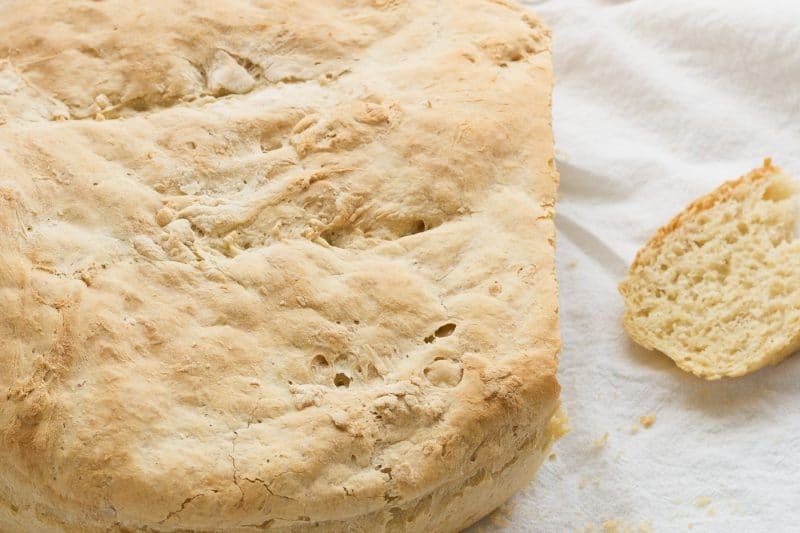 The only drawback to this no-knead artisan bread recipe is the time involved in waiting. It’s not a really long wait time as far as bread is concerned though, our artisan rustic crusty bread is ready in under 2 1/2 hours. If you know me at all, you already know that patience is not my best virtue. You can make this as two smaller loaves, or one large loaf. I prefer one large loaf and I use my big cast iron skillet to cook it in. Smaller loaves can be wrapped in a nice cellophane bag and given as gifts. Try this artisan bread for the best grilled cheese sandwich in the world! 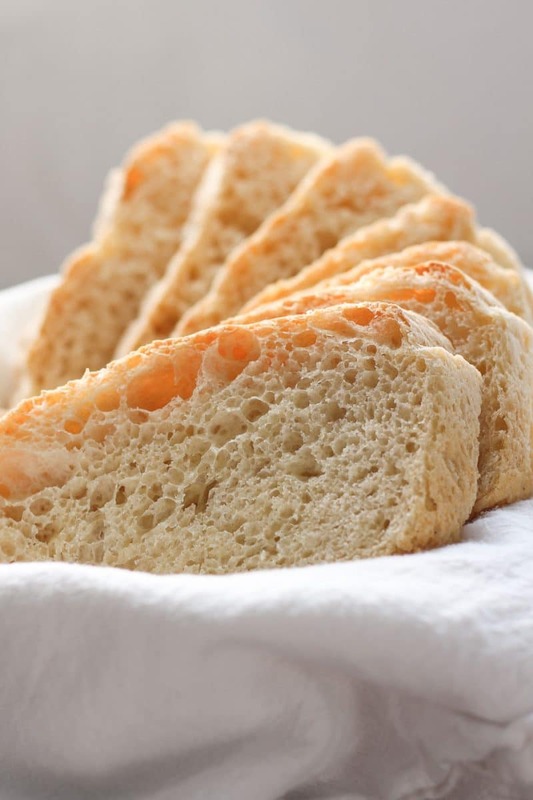 No-knead bread that is easy to make with no specialty equipment needed. In a large bowl, combine water and yeast. Whisk until no lumps of yeast are floating around. Add flour and salt to the bowl. Mix well with a large spoon until all flour is absorbed, wooden spoons work best. Cover bowl with a kitchen towel and set aside for at least 2 hours, but not longer than 5 hours. Spray cast iron skillet, or another large oven-safe vessel, with baking spray. Set aside. 2 loaf pans can be used instead. Remove towel from the bowl and deflate the dough. With a spatula, start pulling the dough into the middle of the bowl while lightly sprinkling flour over the area just pulled from the side of the bowl. Once the dough is free from the bowl, gather it into a ball as best as you can. Place the dough into the skillet and cover with a clean kitchen towel. Allow dough to rise for 1 to 2 hours. Remove from baking pan and place on clean kitchen towel to cool.